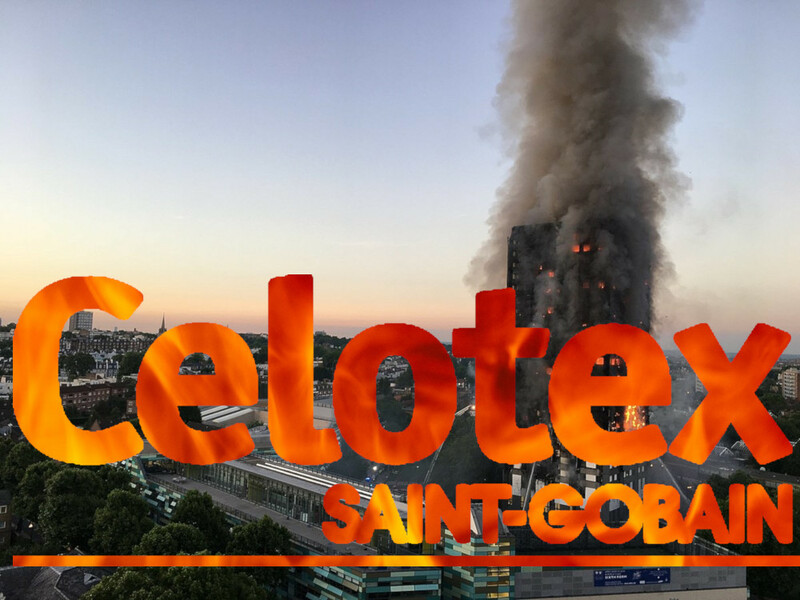 Celotex convinced the owners of Grenfell Tower and hundreds of other buildings in the UK to insulate with their RS5000 insulation product -- a product that had never passed safety tests. The company claimed it was safe for use because a different version of RS5000 (one that used much more flame-retardant) had been through the tests. The version of RS5000 that Celotex marketed for use in buildings was not only extremely flammable: it also contained cyanide, which would turn into poison smoke when the RS5000 burned. The revelations come from an investigative report on the program Panorama, who allege that "the manufacturer allegedly targeted the contractors who were refurbishing Grenfell and specifically offered its flammable insulation – even though the company knew it was going to be combined with combustible cladding panels, the programme claimed." Since the 1970s, both the ruling Conservative Party and the Blairite wing of the Labour Party have campaigned on reducing "burdensome regulation," and the current government has made significant cuts to the staff and funds available to investigate and punish regulatory infractions. Celotex told the programme's producers it could not comment because it was cooperating with the police investigation and the public inquiry but did not deny the allegations. “We believe that the right forum for considering and assessing the many, complex and inter-related issues which arise in relation to the fire – and which require consideration of the involvement of all relevant parties – is through these official investigations," a spokesperson said.